It's time once more to delve into the iPhone 7 rumor mill! 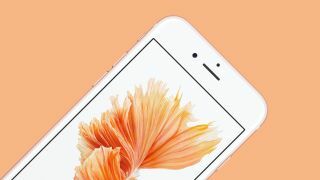 This time, the all-but-revealed Apple smartphone is said to sport a larger earpiece and flipped ambient light sensor, meaning old screen protectors and covers may be on the way out. Reports of manufacturers stopping orders of screen protectors suggest a change in the physical design of the elusive phone, primarily the front-facing speaker and node for detecting light levels, 9to5Mac posits. A larger earpiece would theoretically boost the volume and quality of phone calls, while it's still not clear what Apple gains from flipping the ambient light sensor from the left side of the earpiece to the right. While very minor changes - at least, unless there's some other major detail left unseen - this design for the iPhone 7 could require a different layout for screen protectors and other accessories, rendering any you might be holding over from your iPhone 6S obsolete. Of course, as is always the case with the upcoming iPhone, it's best to take rumors with a grain of salt. Much like the on-again, off-again saga of the iPhone potentially ditching the 3.5mm headphone jack, nothing's been set in stone. Is the iPhone's home button also on the way out?